Grant Hartley's 4-yard run with 27 seconds left lifts the Red Eddies to a come-from-behind win over the Stags. 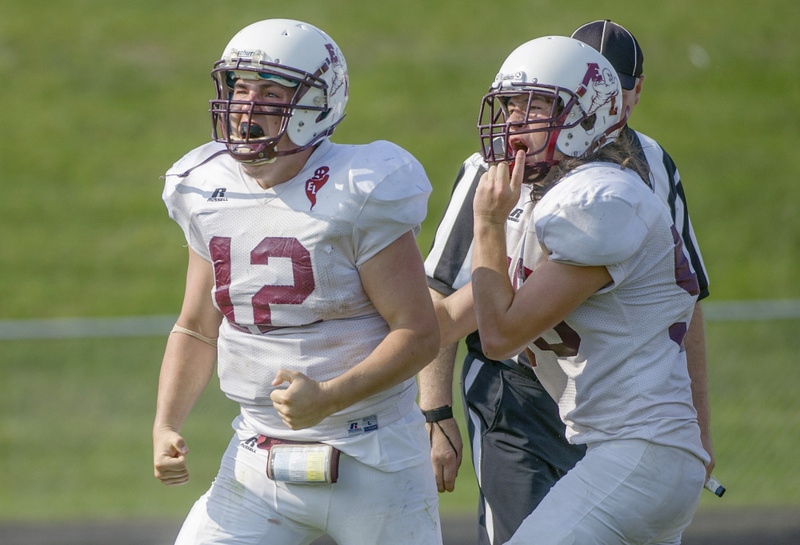 Quarterback Grant Hartley bulled his way into the end zone from the 1 with 27 seconds left Saturday to lift unbeaten Edward Little to a dramatic 26-20 victory against Cheverus in a Class A North football game at Boulos Stadium. The Red Eddies (3-0) rallied from an early 14-point deficit. Max Coffin made big plays on both sides of the ball to help the Stags (1-2) build leads of 14-0 and 20-7. 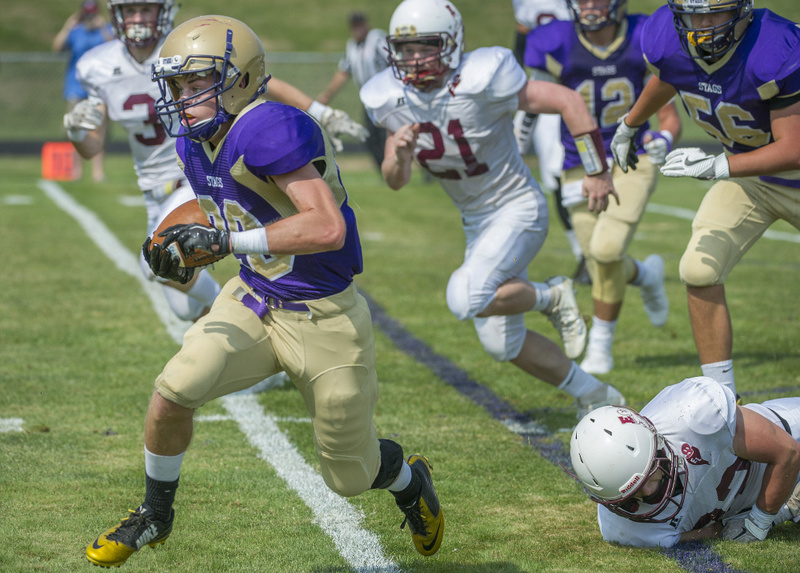 Cheverus opened the scoring less than seven minutes into the game when Coffin scored on a 16-yard run, three plays after returning an intercepted pass to the Edward Little 24. On the first play following the ensuing kickoff, Coffin returned an intercepted pass 36 yards for another touchdown and a 14-0 lead. Edward Little responded with less than three minutes left in the first quarter, as Hartley powered his way to a 3-yard TD run. The score came two plays after Caden Begos recovered a fumble at the Cheverus 9. On the first play after the kickoff, Perrin Conant threw a 52-yard scoring pass to Sean Tompkins to make it 20-7. The second quarter belonged to the Eddies, who scored twice to tie the game just before halftime. Less than four minutes into the second quarter, running back Maxx Bell threw a 37-yard scoring pass to a wide-open Terrell Thomas as Edward Little narrowed the gap to 20-14. With 27 seconds left in the half, Bell dived to pull in a 7-yard pass from Hartley in the left corner of the end zone. 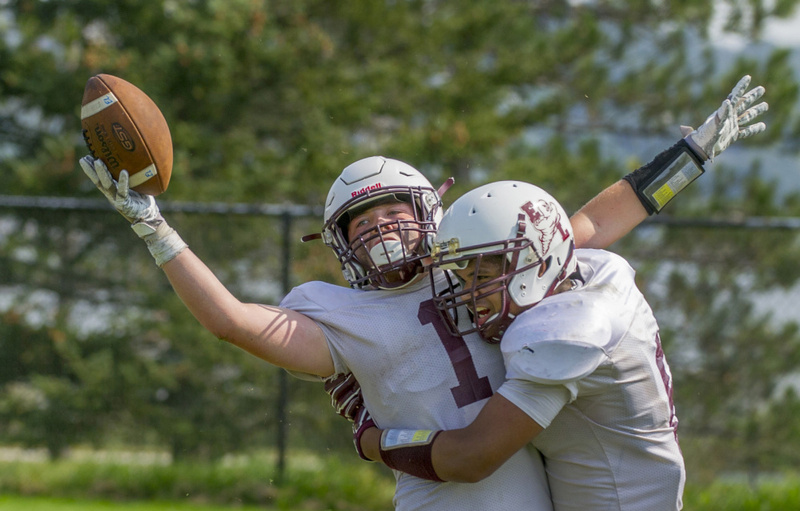 The Eddies appeared to take the lead when Curtis Ouellette put the kick for the extra point through the uprights, but a procedure penalty forced him to try the kick again from 5 yards farther away, and that kick was blocked by Gavin Callahan. The Stags, who were limited to three first downs and 111 yards in the first half, moved the ball everywhere but into the end zone in the second half. Sparked by Coffin, who led all rushers with 117 yards on 25 carries, they put together two long drives but were unable to finish either of them. 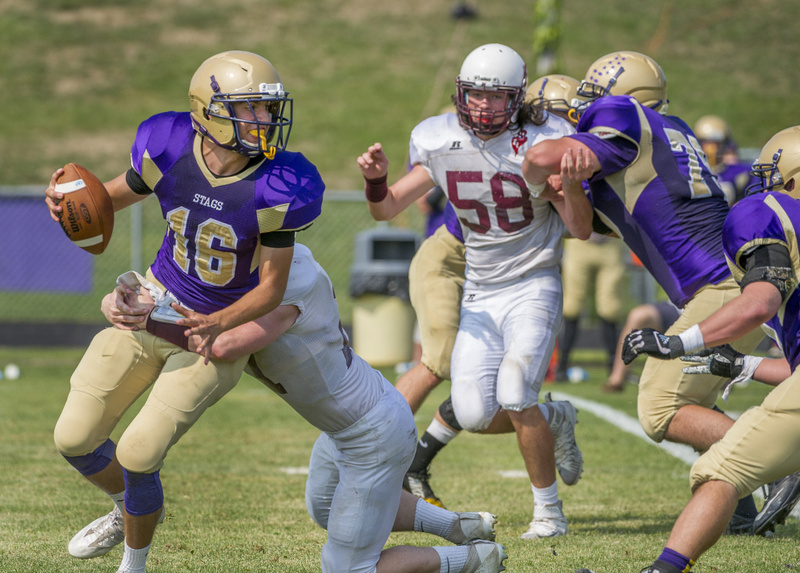 The game appeared headed to overtime when the Red Eddies took possession at the Cheverus 46 with a little more than a minute remaining following a short punt. 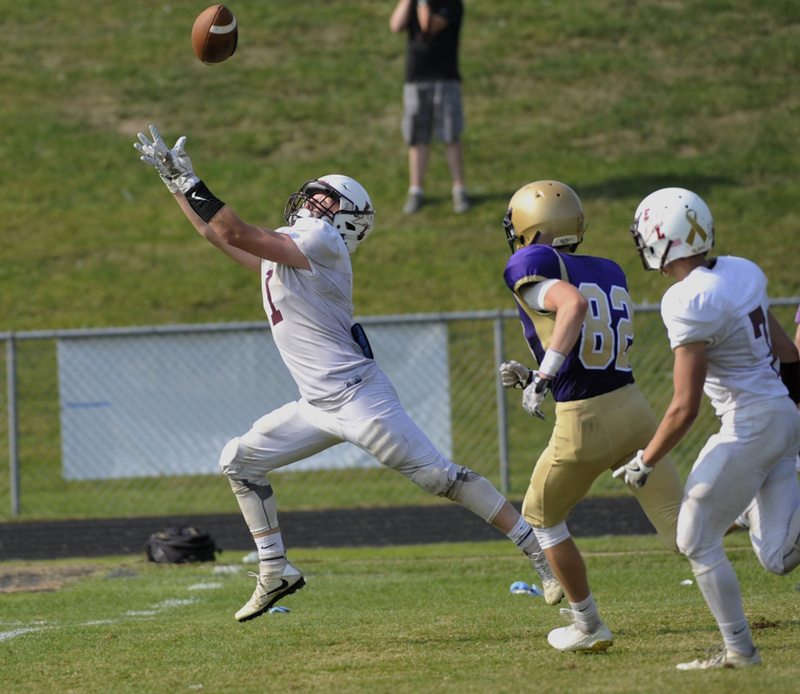 On second down, Bell made a fingertip catch of a long pass from Hartley that netted 46 yards to the Cheverus 4. Two plays later, Hartley plunged into the end zone.